Are you looking for a language services provider for your Estonian translation needs? Wolfestone has the experience and quality you’d expect from a multi award-winning translation company. Wolfestone works extensively with companies that need to communicate health and safety and policies to an Estonian workforce, and companies around the world who trade with Estonia. All our Estonian speaking translators and interpreters are native, have at least 4 years of translation experience, and where relevant, sector specific academic qualifications. We offer our Estonian translation services for legal documents, websites, financial reports and a lot more. Click on the icons if you want to find out more about the types of translations we support. Why choose Wolfestone as your Estonian translation services provider? Wolfestone has worked with a range of clients on Estonian language projects across all document types. For companies ranging from SMEs to corporates. Clients choose Wolfestone because of the quality and service, and many of our clients have been partners for many years. With experience in Estonian document translation, Estonian interpreting and Estonian localisation, Wolfestone is well placed to help you achieve your business and communication objectives. Estonia has a population of over 1.3 million people. 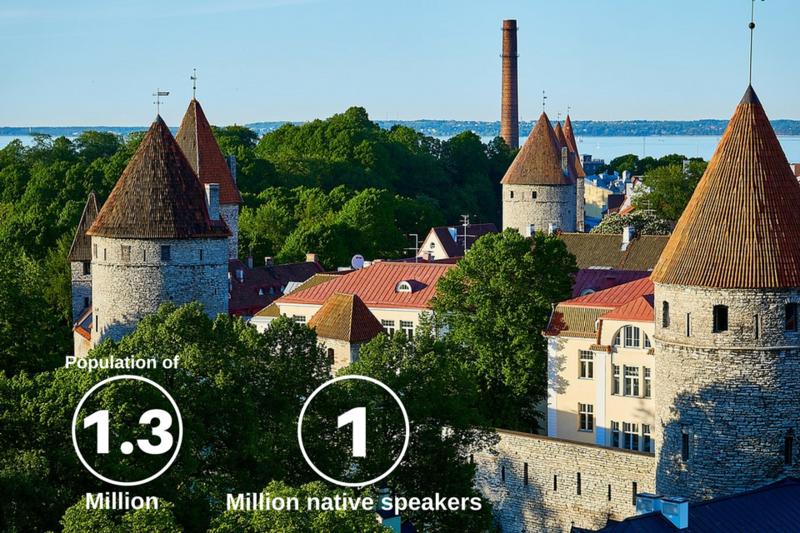 The official language is Estonian and is spoken by approximately 1 million native speakers. It is a Finno-Ugric language and is closely related to Finnish and distantly to Hungarian. It has been influenced by German, Russian, Swedish and Latvian, though it is not related to them. Estonia is a country in the Baltic region of North Europe, bordering the Gulf of Finland, the Baltic Sea, Latvia and Russia. Its capital and largest city is Tallinn, a major political, financial, cultural and education centre of Estonia. Estonia is a developed country with an advanced, high-income economy that is among the fastest growing in the EU. The 2015 PISA test, placed Estonian students 3rd in the world. Since independence, the country has rapidly developed its IT sector, becoming one of the world’s most digitally advanced societies. Contact us for more information about our Estonian translation services.